I visited Madrid for the first time (writes Arnold Roth) ten years ago. 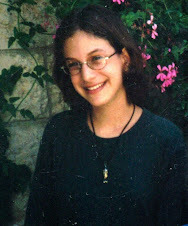 I was invited to go there as one of a small delegation of Israelis participating in a conference of terror victims, the first international gathering of its kind. In many ways, it was an extraordinary experience, mostly positive. 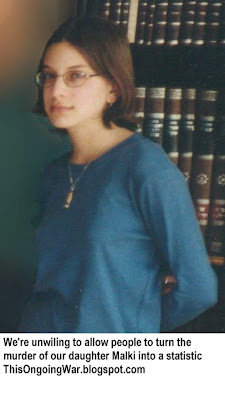 Three weeks later, on March 11, 2004 and after I was back home, Spain was shocked to discover that its terrorism problem involved more than just a decades-long conflict with its Basques, and that the curse of jihadism and of Islamist terror had other countries on its agenda beyond the US and Israel. I have been invited back there several times since as an invited speaker addressing issues of terrorism. It's not surprising to me that Spanish audiences have real interest in the subject. But the political antipathy of large parts of Spanish society to Israel - among the worst in Europe - has remained a puzzle to me. Israel and Spain first established diplomatic ties in 1986. That's when Spain finally recognized an independent state of Israel (independent in fact since 1948). Relations since then have been proper but (as far as I can tell) not especially warm. Israelis have noted how, in Pew Research Center’s 2008 Global Attitudes Project, an astounding 46% of Spaniards were found to hold an unfavorable view of Jews. (In 2005, it had been 21%.) Spain's Jewish community numbers about 12,000 making it roughly 0.03% of the Spanish total. Notwithstanding the microscopic presence, it's said to be the European nation with the poorest view of Jews. Two months ago, Spain observed the tenth anniversary of the Madrid train bombings. The European Union sponsored a project in which a dozen or so terror victims from Spain and beyond came to Madrid for the commemoration and to speak to the cameras about how they have dealt with life in the wake of their personal encounters with terror. I was invited to be one of the interviewees, and I traveled back to Madrid. For me, Madrid is the most spectacularly beautiful city in Europe. My encounters with Spaniards, with some small exceptions (political figures, mostly), have been warm and rewarding. But this time there were some mildly discordant notes too. A very moving photographic exhibition - to the opening of which our group was invited - sympathetically depicted victims of terror from many parts of the world - with one obvious exception which readers of this post will need no help in identifying. 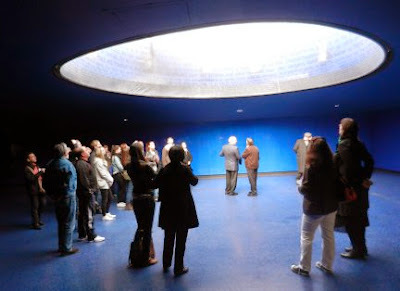 And at the Atocha railway station where a striking memorial to the 191 people killed, and the 1,800 injured in the terrorist bombing, incorporates hundreds of messages of support, solidarity and condolence in a large number of languages including Arabic, one particular language is not in evidence. No prizes for guessing which. 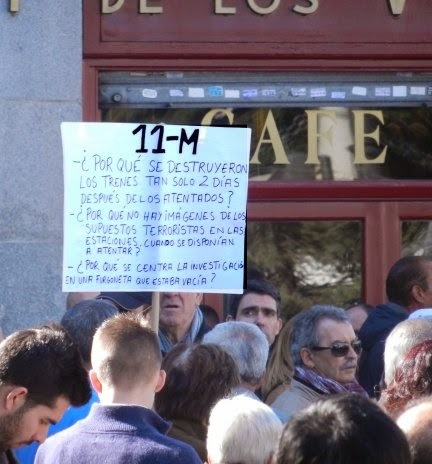 On the morning of March 11, the date Spaniards now call 11M, the anniversary of the train massacre was marked with a Mass in the Almudena cathedral next to the royal palace. 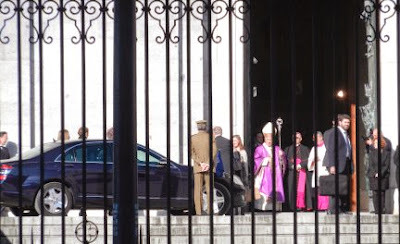 I chose to remain outside on the street and watched as a small handful of protesters, placards at the ready, gathered on the boulevard under the watchful gaze of the police, while a stream of VIPs including the royal family arrived and eventually left the magnificent church. I overheard one of the protesters, standing right in front of me, being asked by an English-speaking tourist to explain what brought them there. Two things, it turns out. One, they were offended by the fact that Spain's official religious commemoration of the jihadist attack had an entirely Catholic character, when it ought to have been more respectful of certain other religions. And two: the evidence is that it was not the Islamists, as the government claims, but NATO that was the true culprit. He launched into a multi-point rationalization with some of the usual depressingly-familiar components of 21st century conspiracy theories. At about that moment, a passing Spaniard gave me a close look and stopped right next to me. Here's trouble, I thought to myself. He spoke: Shalom, he said. Then said it again: Shalom. Instinctively, I responded in Hebrew but quickly saw that "shalom" was the only Hebrew he knew. He had evidently noticed the kippa on my head as he walked by and wanted to share with me the one aspect of Jewish culture that he could summon up on a moment's notice. We ended up smiling pleasantly and a little stupidly at each other and then he went on his way. The following evening, a Spanish friend who is a prominent lawyer in Madrid invited me out for drinks just before I had to leave to catch a midnight flight back to Tel Aviv. He chose a stunningly elegant venue for our conversation, the Villa Magna Hotel, across the street from the far more modest (but very adequate) hotel where we terror victims were accommodated. Ricardo and I were deep in conversation in the gorgeous cocktail lounge when I became slowly aware of something that seemed somehow out of place. It took me some moments to figure out what. The piano in the background - the pianist was playing... Hatikva. I didn't recognize it immediately because he was interpreting it in dramatic fashion. But that's what it was, and I asked my friend to pause while we both paid closer attention to the delightful music. Then the pianist, seated some way off at his grand piano, gave a small smile of acknowledgment and switched gear - playing Yerushalayim Shel Zahav. There was no sign among the business people in the vast lounge that anyone else was aware of the significance of either piece of music. When it became possible to do so, I got up and walked over to the piano and thanked the young pianist. We exchanged business cards. His opening words in our brief conversation were "I love Israel" followed by a few seconds of explaining that after centuries of turbulent history many Spaniards have Jewish blood running through their veins and they know it. Then he moved on to his next piece and I returned to my host. train station experience the "cylinder of light"
This week on Israel's Independence Day I received an email from the Spanish pianist, David Marín Ariza. I have to say I am so sorry about that terror atact. I feel so closed to Israel in its fight against terror. My father is Guardia Civil (police man) in Spain, and we were always object of terrorists, we had just luck. I was as well born in 1985, and I am a musician, like Malki. I feld so sad while I was reading her story. 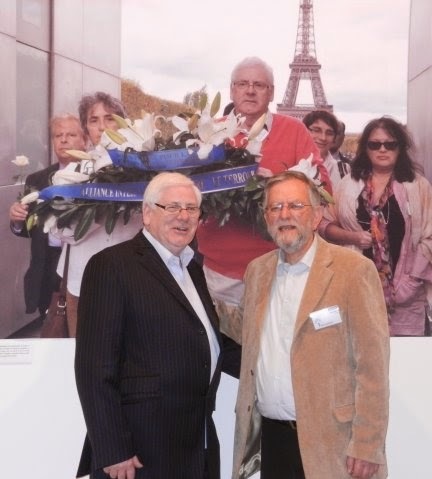 I think there will be never enough tribute to victims of terror, they and their families are the most important value in open and free sociaties, they are, as well with our police and army, our heroes. It is what I think, and the reason because I tried always to go to demostrations of terror victims in Madrid, against negotiation with terrorist. I am no great pianist, but if you need some day one, for beneficial concert or whatever here in Spain, let me know. Here [click] is a version fo mine of Hatikvah, in a concert wich I played in Madrid one month ago. (The quality of the video is not very good)... Excuse my English, please... I am actually musicologist but I have worked as pianist at Villa Magna since I finished my studies. I would like to work actually as composer for video, films, etc, and music manager. But there are not many possibilities right now in Spain. So I want to go to the Unated [presumably means the United States] to practish English, look for a job and perhaps study music (film, management...) Do you live in Israel? I was there once, and loved it. I want to visit it again. I wished could soon. Click below for his YouTube rendition of Hatikva. It's unfortunately captured in a rather ordinary cell-phone video but it conveys a taste of the music behind it. And if readers have some constructive ideas that might help David advance in his career, please drop us a line. The human, individual response to terrorism always seems to me to be more interesting, more nuanced, more humane and generally more constructive than government statements and political declarations.